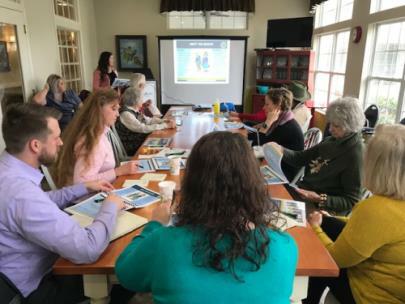 The Lantern at Morning Pointe Alzheimer's Center of Excellence, Chattanooga continued its “Caregiver Café” speaker series in the new year, focusing on emergency preparedness. Professionals, caregiver staff, and families gathered to learn about emergency preparedness for individuals with cognitive and functional disabilities. The Hamilton County Health Department led the informative session. Additional “Caregiver Cafés” will take place quarterly at Morning Pointe Senior Living communities throughout the Chattanooga area, along with regular support groups. These educational programs are part of the mission of the Morning Pointe Foundation as it works to provide caregiver support and nursing scholarships across the Southeast.